Spread crust with sauce, leaving 1/2-inch border. Top with onions and bacon. Bake 10 min. Top with cheese. Bake 8 to 10 min. or until cheese is melted and crust is golden brown. Top with avocados and tomatoes; drizzle with dressing. 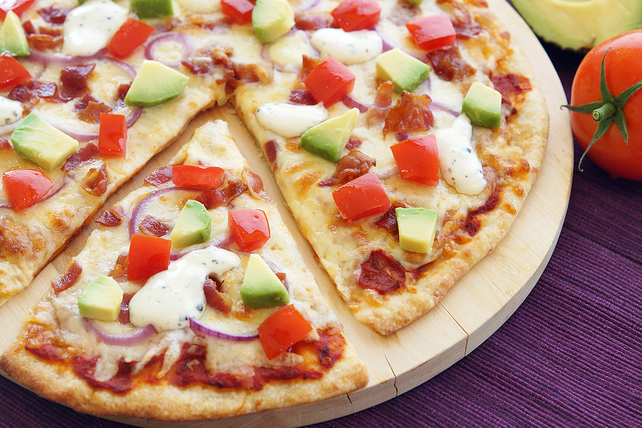 Give the pizza a crispy finish by adding 1 cup packed baby arugula along with the avocados and tomatoes.